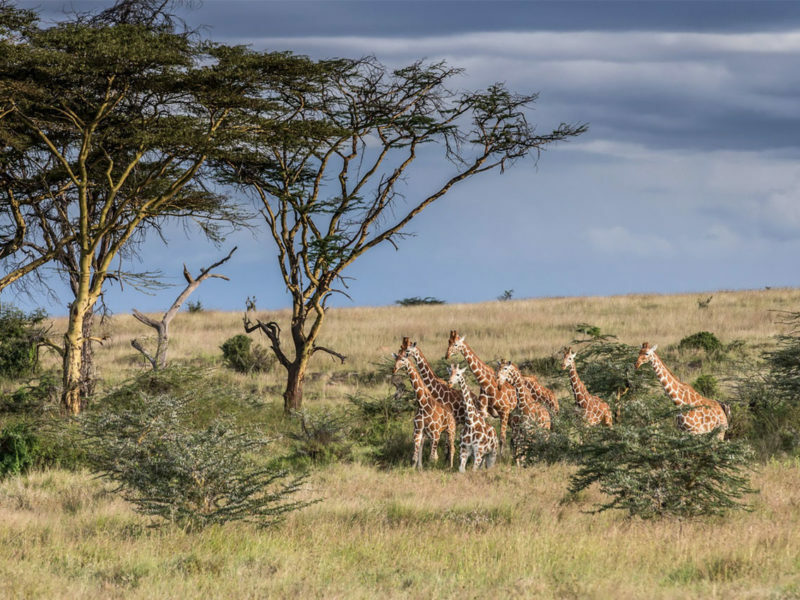 Encounter this open spaces, wild places and Maasai communities of the famous Masai Mara Reserve in Kenya. Masai Mara National Reserve was established in 1948 as a small area on the Western side of the Mara River. From that time, the official area (size) of the National Reserve underwent some changes until 1984 when it was set at 1,510 Km2 and covered a large area on both sides of the Mara River. 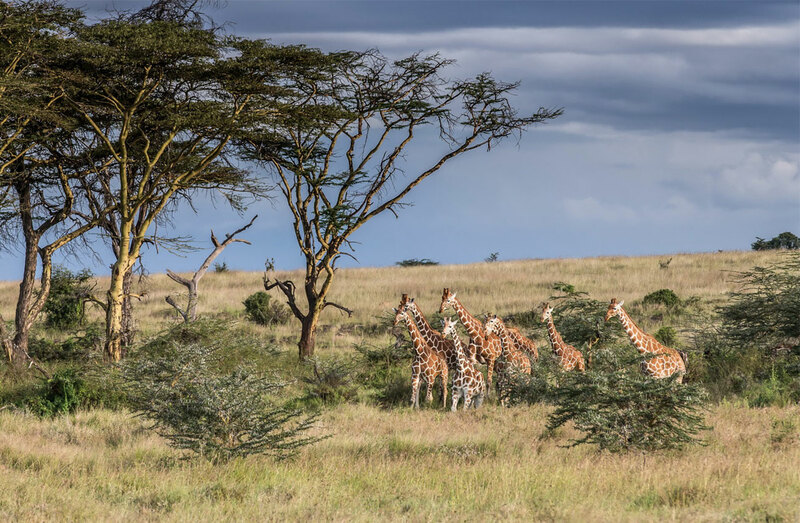 In the early part of the 20th century, most of the area now within the Masai Mara ecosystem was bush and woodland, rather than the wide open grassy plains we know today. A combination of fires from natural causes and set by hunter-gatherers, as well as a large population of elephants has changed the Mara into its current grassland state. Their propensity for knocking over trees for food, and it shows of strength, affects everything from erosion of soil to mammal and bird diversity. With fewer trees and more grass, greater numbers of large herbivores have streamed into the area with the availability of more suitable food. 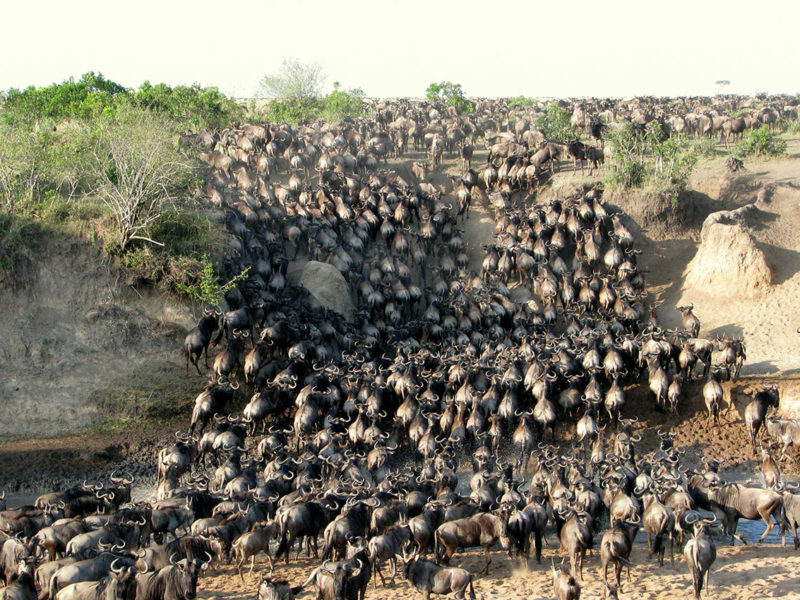 This is one of the factors that have led to the great wildebeest migration, an annual movement of more than a million wildebeest, zebras, and gazelles from the Serengeti, in Tanzania to the South, to the far Northern reaches of the Mara ecosystem. 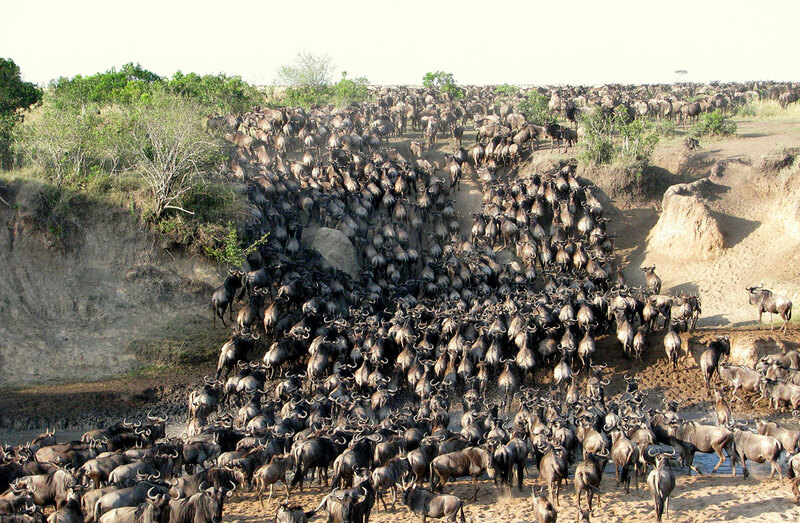 This migration has been touted as one of the greatest mammalian spectacles on earth and has been declared one of the Seven Wonders of the Natural World. Depart Nairobi and drive via Narok to the Masai Mara National Reserve offering wonderful scenery and plenty of game. It is perhaps the only region left in Kenya where the visitor may see animals in the same super-abundance as existed a century ago. Check into Ilkeliani Tented Camp and after a briefing by the hosts, have lunch and later head out for the afternoon game drive. Return to the camp for dinner and overnight. Have an early morning game drive before returning to the camp for breakfast. You may opt to visit the Maasai villages for a cultural interaction before getting back to camp. This is at an extra cost of US $30 per person. You may also get to see the big 5 as well as many other animal and bird species. Later you will have lunch before venturing out for the afternoon game drive that will have you returning to camp for dinner and overnight. Have an early morning game drive then return to camp for breakfast. Check out and then drive to Nairobi, Kenya’s colourful capital city.